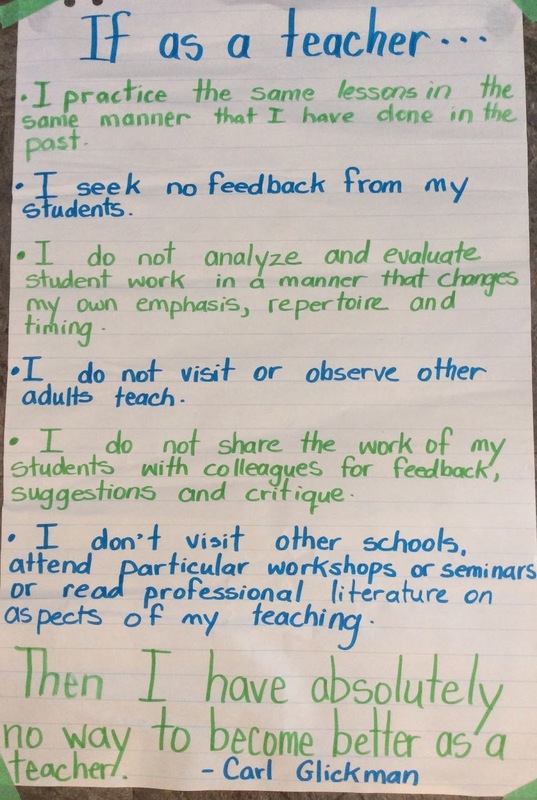 The chart was one of two that I created in my best Grade 1 Teacher printing after seeing Carl Glickman at the Distinguished Lecturer series hosted by Manitoba ASCD. This copy hung in my office as a daily reminder and vision statement of what I believed about professional learning for the educators I worked alongside and myself. The second copy I took with me to schools and sessions across our district, often leaving it behind for teachers to post in their staff rooms to serve as a reminder, a conversation, a nudge, an inspiration, and yes, a challenge. 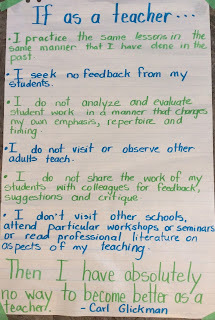 I rewrote those words many times and left the chart behind because I believed then, and still do, in the power of anchor charts to serve as a constant and ever-present reminder for learners of what we as a community hold to be true. I begin this school year with a new chart in my office. 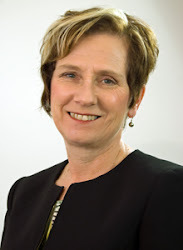 One that reflects what I believe now about professional learning and that echoes the words of Lorri Nielsen who has written that professional learning is not something done to us as educators, but rather is something we do for ourselves. Glickman, Carl. 2002. Leadership for Learning: How to Help Teachers Succeed. Alexandria, VA: ASCD. Nielsen, Lorri. 1994. A Stone In My Shoe: Teaching Literacy in Times of Change. Winnipeg, MB: Peguis Publishers.